Oh Halloween how I love thee. Let me count the ways. Actually, let me document the ways. 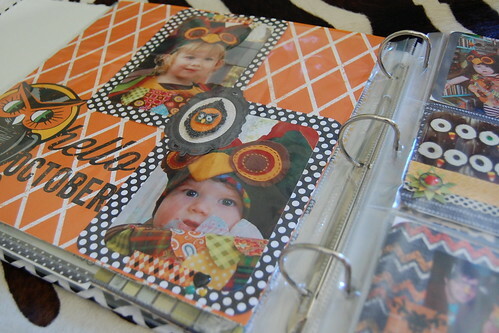 Yup, I'm still smashing, scraping, journaling - doing my own little paper crafting hybrid. 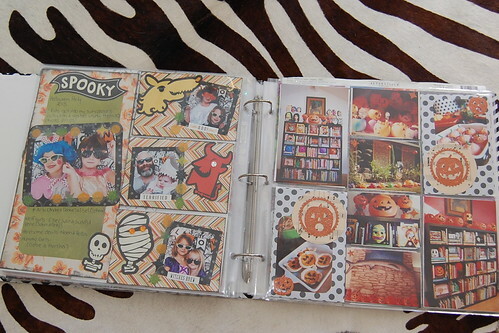 This year I decided to make a dedicated Halloween scrapbook. 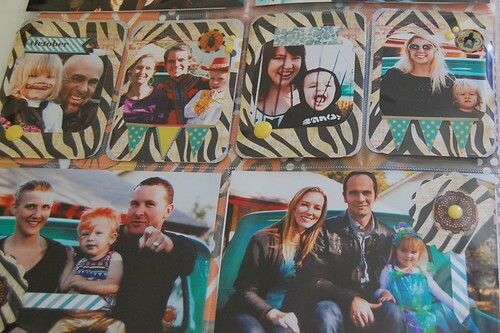 Grab your Acid Free Aleene's Tacky Glue Stick and Dots and let me inspire you to start your own. Has anybody seen my tambourine? It's yellow and green and it likes to scream. 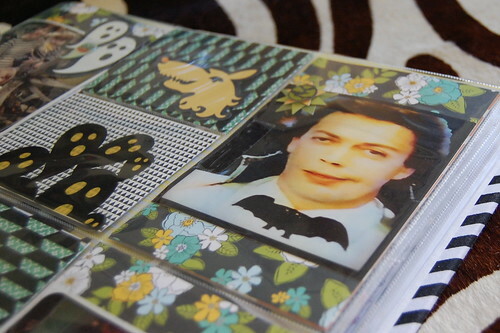 My love Halloween might have started with Tim Curry and the Worst Witch? There is no way to be sure. Either way I thought he was a perfect way to kick off my Halloween book. 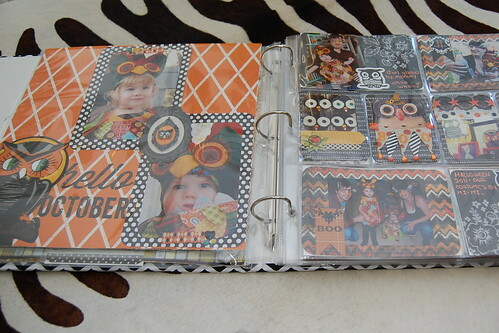 I decided to use protective sheets associated with Project Life for my scrapbook. This allows me to do big full sheets as well as smaller cards. 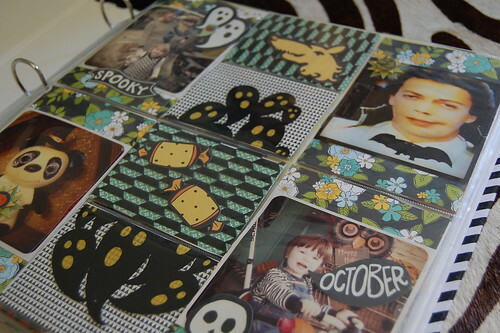 I use plenty of stickers, washi tape and the occasional staple. For the most part I am a glue stick, glue tape and glue dot kinda gal when I scrap. 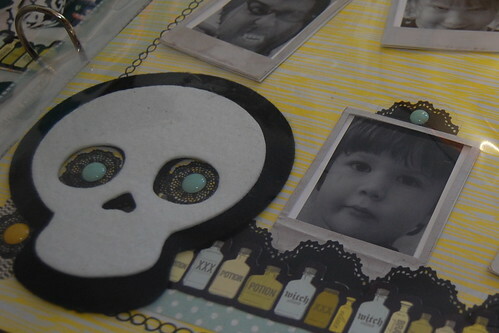 Aleene's has oodles of adhesives to choose from. 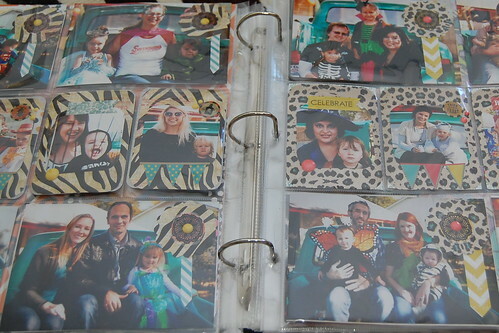 I even use glittery Collage Pauge from time to time. 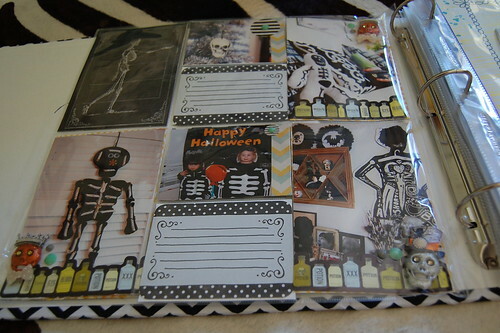 My friends are too cute not to include in my Halloween scrapbook. I love to include pictures from my annual Halloween party. These (and many of the others) are by Jennifer Ramos. 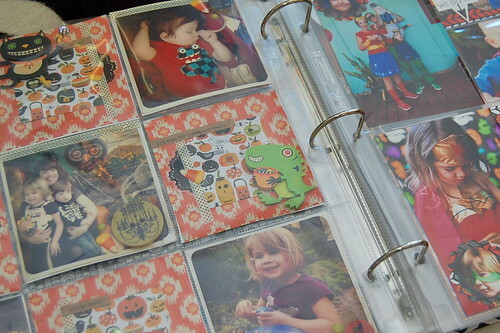 So how do you preserve your Halloween memories? Did I mention I already have a Christmas book in the ready. I'll make myself wait until after Thanksgiving to start that one. Pop over to Naughty Secretary Club for more peeks into my scrapbooks.